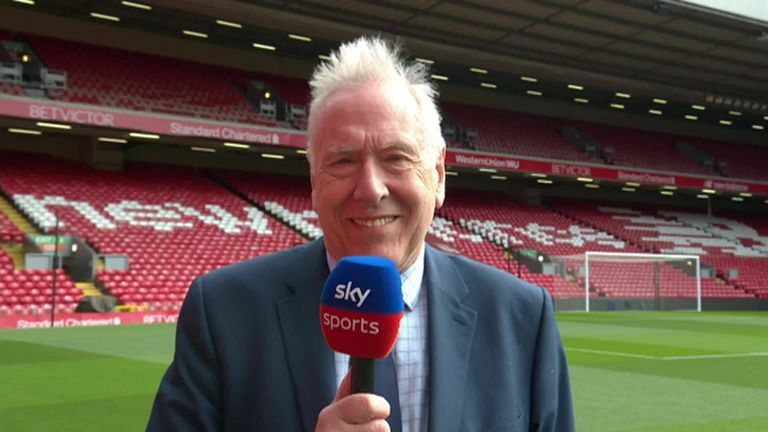 Sky Sports commentator Martin Tyler has the answers to those questions and more in his weekly stats column, and don't forget to try his teaser in the video above. Following Liverpool's dramatic 2-1 win over Tottenham on Super Sunday, Jurgen Klopp's record in charge of the club in all competitions now reads: Played 197, won 109, drawn 51, lost 37, goals for 400 and goals against 199, with Southampton to come live on Sky Sports Premier League on Friday night. And that victory put Liverpool on to 24 league wins for the season, more than they managed when they last won the title in 1989-90, while their current haul of 79 points also equals their total from that title-winning campaign with six games still to play. Meanwhile, the leadership of the Premier League has now changed hands on 24 occasions this campaign, compared to just six times last season, and Spurs have lost their last six domestic away matches, conceding twice in each of those defeats - 2-1 at Chelsea (League Cup semi-final), 2-0 at Crystal Palace (FA Cup fourth round), 2-1 at Burnley, 2-0 at Chelsea, 2-1 at Southampton and 2-1 at Liverpool (all Premier League). However, Tottenham did manage to win 1-0 at Borussia Dortmund in between those losses at Chelsea and Southampton and they have also now won only one of their last 25 matches at Anfield - including eight draws and 16 defeats - a 2-0 victory in May 2011. It was Liverpool's 37th Premier League home game without defeat, a run stretching back to a 2-1 loss to Palace in April 2017, and that makes it the joint-second longest run of that type in Premier League history, equalling Man City in 2010-12. But the Reds are still way behind the record held by Chelsea, who went 86 games unbeaten at Stamford Bridge between 2004 and 2008. It was Harry Kane's 250th Tottenham game in all competitions, and Davinson Sanchez's 50th Premier League game for the north Londoners. MARTIN SAYS: Liverpool are currently level with both Cardiff and Wolves this season having scored three winners in the 90th minute or later, and need to score one more such goal in their remaining six games to equal the Premier League record in a single campaign. Everton, Newcastle and Sunderland - and Liverpool themselves back in 2008/09 - have all experienced dramatic campaigns where they won four matches with last-gasp winners. And overall, Liverpool have scored eight more 90th-minute, or later, winners than any other side in Premier League history. 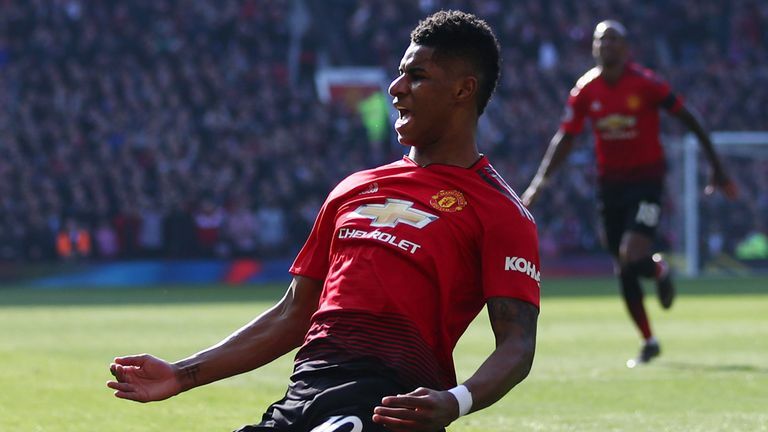 Highlights from Manchester United's 2-1 win over Watford in the Premier League. MARTIN SAYS: This has happened in six separate seasons. In the 1995/96 campaign, United's quartet of Eric Cantona, Andrew Cole, Ryan Giggs and Paul Scholes broke the ten-goal barrier long before Ole Gunnar Solskjaer's current crop. In Chelsea's Premier League-winning 2009/10 season under Carlo Ancelotti, Didier Drogba scored an impressive 29 goals, and the Ivorian was aided by Frank Lampard, Florent Malouda and Nicolas Anelka. And the Blues also managed the same feat in the following campaign too. And both Arsenal (2012/13) and Manchester City (2017/18) had four different players scoring over 10 goals in a Premier League campaign. MARTIN SAYS: Crystal Palace captain Luka Milivojevic has certainly been on a hot streak from the spot this campaign and he currently ranks fifth overall for a single Premier League season with seven games still left to play. Ahead of him are Alan Shearer (1994/95), Frank Lampard (2009/10) and Steven Gerrard (2013/14) all on 10. But the man who ranks number one is Andrew Johnson, who converted a remarkable 11 penalties for Palace in the 2004/05 season, although it was not enough to keep them up. 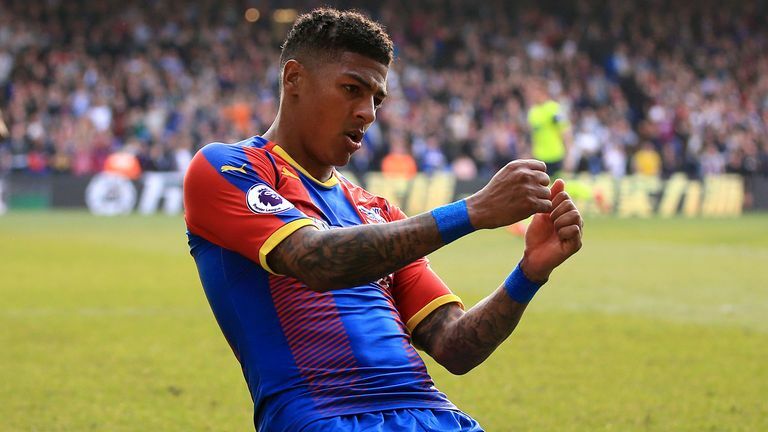 Highlights from Crystal Palace's 2-0 win over Huddersfield in the Premier League. MARTIN SAYS: Huddersfield are just the second team to be relegated from the Premier League in March - March 30th to be precise. Derby also went down with six games remaining on March 29th in the 2007/08 season. Huddersfield's relegation was sealed with them on 14 points after 32 games played, while Derby and Sunderland (2005/06) were both on 11 points at the same stage of their relegation seasons. Meanwhile, the Terriers have won three games, compared to Derby's one, and scored two more goals (18) than that Rams team had managed after 32 matches of the 2007/08 season (16). MARTIN SAYS: Not quite. In fact my commentating colleague Andy Hinchcliffe (1994/95) joins Leighton Baines (2010/11) at the top of that list on 11 assists each. Two seasons later, Hinchcliffe also recorded nine assists, which put him level in second with Andrew Robertson (2018/19), Nicky Shorey (2007/08) and Mark Venus (2001/02).